Regular readers will know that we have more cookery books in our house than you can find in any branch of Waterstones. My wife is attracted to every new publication that appears on the bookseller's shelves, regardless of whether we already have a cook book on a similar subject, or selection of dishes or baking speciality. Occasionally, some books find their way to the charity shop, quickly replaced with something new, different or inspiring. This month, there are a few new publications for star bakers who want to mix up some deliciously different treats, that have yet to find their way to our already crammed bookcase. Hopefully our household's 'MasterChef'' finalist will not be buying these three this weekend! 'Biscuiteers Book of Iced Gifts' - the well known London bakery 'Biscuiteers shows readers how to master the are of making iced buns at home. 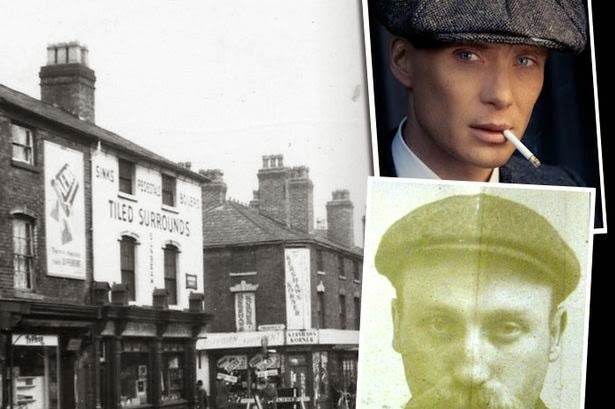 A great read with some enthralling photos of the many iced buns that appear from the kitchen of this hit bakery. Published by Michael Joseph at £20. 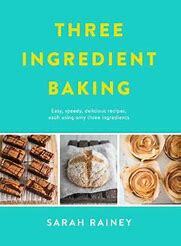 'Three Ingredient Baking' by Sarah Rainey - three is the magic number with this book's quirky, easy recipes for anyone who just can't be bothered to shop for a host of ingredients before cooking. 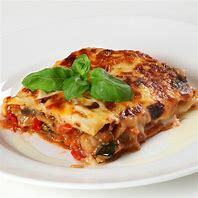 Most of the three ingredients can be found in any well-stocked kitchen. Published by Michael Joseph at £12.99. 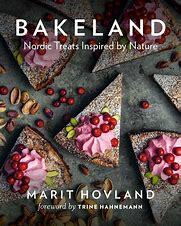 'Bakeland' by Marit Hovland - a beautiful nature-inspired book, there are a range of treats from rosemary cupcakes to cinnamon and apple macarons. Something for every taste in this glorious publication from Greystone at £22.